“Waveguide” is a word, which often occurs in our CRC community. Actually, we even have a project C4, which is devoted to modeling, design and optimization of waveguides. In this post I would like to bring your attention to the book, which appeared recently in Springer publishing house. 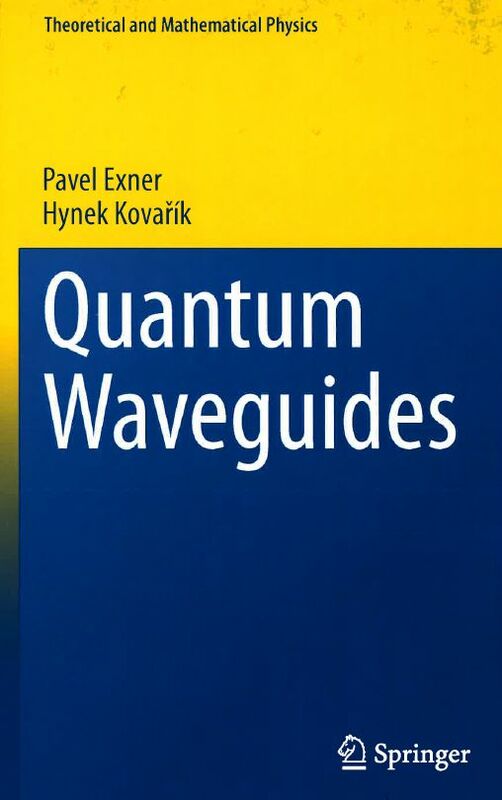 The book is entitled “Quantum waveguides”, the authors are Pavel Exner from the Nuclear Physics Institute (Prague) and Hynek Kovařík from the University of Brescia (Italy). 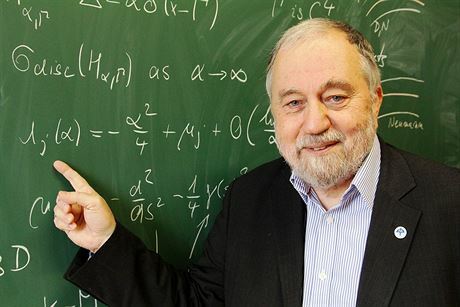 The first author is a Czech mathematical physicist, well-known expert in mathematical problems and methods of quantum theory. 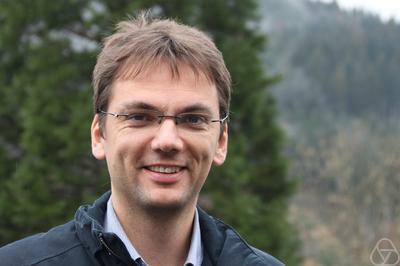 The second author is his former PhD student, and is an established researcher working in the same area. At the moment there is no review for this book on MathSciNet, so I decided to fill this gap using our CRC blog. The main object of study in this book is a quantum particle, whose motion is restricted to a very small range in one direction but is not restricted in the remaining direction(s) so that a transport is possible. From the mathematical point of view this means that we study Schrödinger operators in domains like strips, tubes, layers etc. What are the main questions addressed in the book? The first main problem is this: what happens to the spectra under a local deformation of a straight waveguide. At first this problem is inspected for free particles, whose motion is governed by Dirichlet laplacians. One knows that the essential spectrum of such operators is a ray, while the discrete spectrum is empty. In case of local perturbations the essential spectrum remains the same, while the discrete spectrum may become non-empty – new eigenvalues may appear below the infimum of the essential spectrum. The first chapter of the book concerns this problem for various local perturbations, like bending or twisting. In the next chapters the authors extend their results to Schrödinger and magnetic Schrödinger operators. The other issue, which is addressed in the book, is as follows: what happens, when the transversal diameter of a graph tends to zero (and so the waveguide collapses to a line or, more generally, to a metric graph)? One may ask about the limit of the corresponding Schrödinger operators. It turns out that in the limit one gets an operator on the line (or graph), and the form of this operator depends essentially on the way, how our waveguide shrinks to a 1D structure. Other important questions, which are considered in the book are the following: periodic waveguides (band-gap structure for the spectrum and related issues), point perturbations of a straight waveguides (like δ-interactions), weakly coupled waveguides (e.g., waveguides coupled through a narrow window). Not only quantum waveguides are discussed. Acoustic problems (which, actually, means that Dirichlet conditions are substituted by Neumann conditions) are also treated. The results could be also used in optics, since Maxwell equations governing propagation of electro-magnetic waves can be reduced to scalar operators provided the waves are suitably polarized. The way the authors present and prove their results shows that they tried to omit inessential technical details and to focus on the main ideas and concepts. Mostly the theorems are given with complete proofs. Some proofs are only sketched and the details are left for the reader. The authors accompanied their results by physical interpretations. At the end one has a comprehensive bibliography on the topic, so the reader will easily find suitable literature for further reading. The notations are compatible with standard analysis books. Choosing them the authors were consistent but not pedantic. For example, in some places they use the arrows for vectors, while in other places the arrows are dropped. The book is fairly self-contained. To read it one needs only some basic knowledge in functional analysis, operators theory and differential geometry. The main target group are experienced researchers, but it quite is accessible for Ph.D. and even master students. By the way, in the end of each chapter one can find a list of problems, that can serve for possible topics of master theses. I recommend this book for all mathematicians who are interested in spectral theory and geometrical analysis. Even, if you do not deal with waveguides, you can find here a lot of useful ideas, which can be applied elsewhere.